How was your weekend? Was it good? Did you get to relax any or cook up anything special? 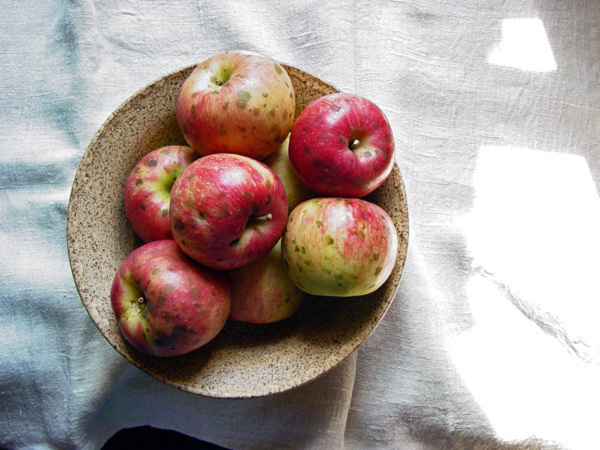 I went to the farmer's market Saturday morning and brought back lots of apples. And this morning I made an apple coffee cake from macintosh & idared varieties using a combination of two of my grandmother's recipes.
} I enjoyed reading this interview with Stephanie at Shari's blog today.
} The new Studio Violet blog is already inspiring me.
} Thank you Jan for including my pinhole work on the cover of this week's Poppytalk Newsletter! I better go, I have a sink full of dishes to wash.